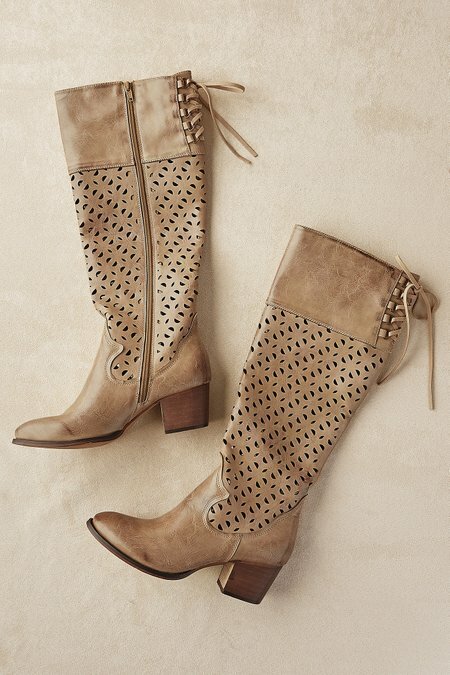 An appealing open cutwork design elevates these transitional boots to something a little more noteworthy. Feminine lace-up details in the back balance the touch-of-cowgirl styling in the front, creating a look that's entirely new. With a walkable stacked heel and soft microfiber lining. 2" heel.